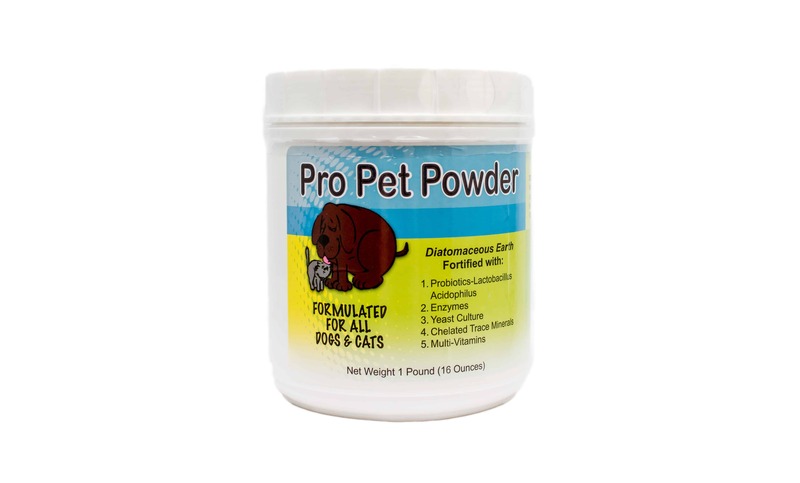 Pro Pet Powder, pet product made of 90% Food Grade Diatomaceous Earth and approximately 10% nutrients. Enhances the health of your dog or cat. We added the probiotic, lactobacillus acidophilus, digestive enzymes, yeast culture, multi-vitamins and chelated trace minerals. There are 120 tablespoons in this one-pound container which by giving a large dog a tablespoon a day would be about a 4-month supply. If feeding a cat or smaller dog, this will last longer. A handy scoop comes with this package! this is a specialty pet product of Earthworks Health LLC. Please see the whole category of specialty pet products here! New and Improved Formula! 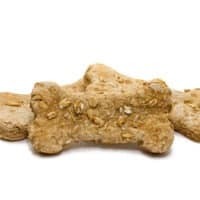 Receive an average of 25 4 inch dog treats for your pup!